Strap Type: Material Strap TitaniumCase: TitaniumGlass: Mineral .. Brand Name: CitizenWatch Series: Citizen Men's ChronographModel ..
Analog DisplayQuartz MovementChronographStainless-Steel BandBlack DisplayMineral G..
Ultra thin stainless steel case with black Ion plating.Stainless steel link bracel..
Citizen Men's BM8475-26E Eco-Drive Strap WatchEco-driveBlack ion plated stainless .. This Citizen watch for men features a black dial with silver tone and red-tipped han..
You will really enjoy this watch that adds a lot of style to y.. 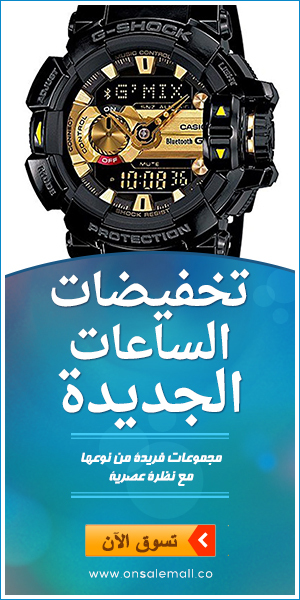 Stainless steel case with a silver and gold-tone stainless ste..
نوع ماكينة الساعة: كوارتزخامة الزجاج: معدنىخامة الهي.. Style #:AN3420-51ASize: Men'sQuartz MovementCase diameter: 42mmMineral Crysta.. Style #:AN3401-55ASize: Men'sQuartz MovementCase diameter: 47mmMineral Crysta.. Style #:BK2520-02LSize: Men'sQuartz MovementCase diameter: 42mmMineral Crysta..
ساعة سيتيزن انيقة ذات دقة عالية جدا وإمكانيات مذهلةايكو-درايف تع..
ساعة راقية وفخمة ماركة مشهورة وعالمية تعمل بالطاقة الضوئية ولا تحتاج الى بطارية ن.. Style #:AW1275-01ESize: Men'sQuartz MovementCase diameter: 43mmMineral Crysta..
ساعة سيتيزن ايكو-درايف رجاليموديل BM7279-03Eتعمل بالضوء ولا تحتا.. Style #:AT2150-51ESize: Men'sQuartz MovementCase diameter: 45mmMineral Crysta.. Style #:AN3409-53ESize: Men'sQuartz MovementCase diameter: 42mmMineral Crysta.. Style #:NP4000-59ESize: Men'sAutomatic MovementCase diameter: 45mmSapphire Cr..
ساعة سيتيزن ايكو-درايف موديل BM7211-00Aتعمل بالضوء ولا تح..
Quartz MovementCase diameter: 42mmMineral CrystalStainless Steel case with Leather b.. Style #:BG5080-05ESize: Women'sQuartz MovementCase diameter: 22mmMineral Crys.. Style #:EX0333-58WSize: Women'sQuartz MovementCase diameter: 21mmMineral Crys..
Citizen Eco-Drive WatchWomen's Model #: FB1200 51EStainless stee.. Stainless steel bracelet Round c..
ساعة يد رجالية سيتزن AT2010-51E - رسمية عقاربطول المستطيل 30 ممش..
ساعة يد رجالية سيتزن E860-S037247 - كاجوال عقاربشريط معدني لون ذ.. 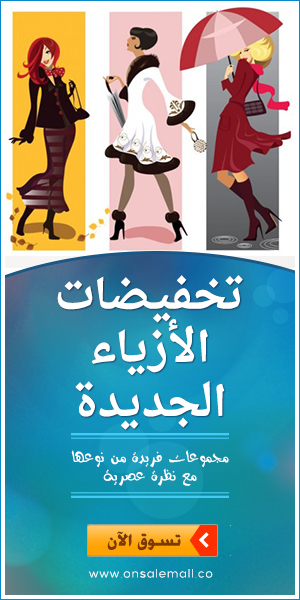 Catalog #: 1681887934Style :BG5082-26PSize: WomenQuartz MovementCase diameter..
ساعة يد نسائية سيتزن EW9818-56D - رسمية عقاربطول المستطيل 18 ممش..
ساعة يد نسائية سيتزن FB1030-59E - كاجوال عقاربمصنوعة من الكريستا..
معدن إيكو درايف: حفظ الطاقة حتى 9 أشهرزجاج معدنيستانلس ستيلمقاوم..
العلامة التجارية: سيتيزنسلسلة الساعات: سيتزن كرونوجراف للرجالرقم..
ImportedRound watch in titanium with textured chronograph subdia..
الساعة مصنوعة من الاستانليس ستيل النقي المقاوم للصدازجاج الساعة ..
الساعة مصنوعة من الاستانلس ستيل النقي المقاوم للصدأزجاج الساعة م..
الساعة مصنوعة من الإستانليس ستيل النقي المقاوم للصدأزجاج الساعة .. Precise Japan Quartz MovementTitanium Case and BandPush Button Release ClaspMinera..
لون السوار: فضيشكل الميناء: دائريمقاومة الماء: حتى 100 مترخامة ا..
الساعة مصنوعة من الاستانليس ستيل النقي المقاوم للصدأ ..
الساعة مصنوعة من الاستانليس ستيل النقي المقاوم للصدأ زجاج الساعة مصنو..
stainless steel Case stainless steel Band Mineral crystal ..